BIL Castors and Wheels completely understand that for a number of clients, a standard off the shelf castor product is not the best solution. Together with our production partner DM Wheels Systems (Holland), BIL are able to offer bespoke castor solutions to suit just about any requirement. Our national projects team specialise in a design-led approach starting with an initial meeting to discuss your individual requirement. This initial fact finding process will lead to proposed solutions and conceptual designs. This is completely confidential and we are totally familiar with the need for NDA’s where required. Once your needs are established, we can then move forward to more detailed designs. 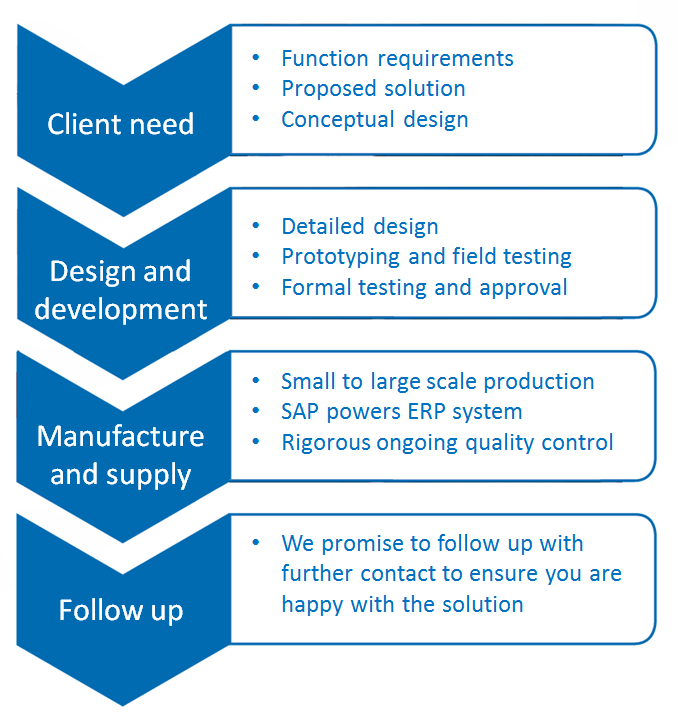 We can consider prototyping and field testing in certain circumstances. Technical drawings and modelling will be carried out by our skilled in-house designers. Then when you are totally happy to proceed to production, we then employ the very latest technology and use the best and most appropriate materials to manufacture a bespoke castor or wheel solution to meet with your requisite demands. Quality is strictly controlled throughout the whole process from start to finish so you can rest assured that you will only receive product that is both fit for purpose and has been engineered to perfection. Once product has been delivered to you, we promise to follow up with further contact to ensure that you are happy with the solution we have provided. The BIL Projects Department is headed up by Kevin Wilson, our new UK business development and projects manager. From the initial consultation to the design, production and supply, Kevin will be on hand to guide you through each process. Kevin is centrally based within the UK and is able to offer you any on-site support and consultation needed. If you would like more information or would like to discuss any upcoming project then please contact Kevin today on 07741 312 865, email projects@bilgroup.co.uk . Needless to say we have many solutions others cannot offer. For a custom made solution, more information or advice you can contact our projects manager today. Telephone number +44 (0) 01249 470 434 or 07741 312 865, email projects@bilgroup.co.uk or contact us for free advice.